It’s been 12 days since I finished this story and quite honestly words escape me. There’s so much that I want to say but I can’t seem to form my thoughts into coherent sentences. I have a slew of thoughts and questions but I keep coming back to why did you stay in the house? The logical part of my brain, the part that I allow out on occasion, knows why Caroline and her family stayed, she tells us – I just couldn’t grasp it. The events that occurred in that household prevented me from grasping it. I was too busy being scared to worry about the financial ramifications of moving. I didn’t want them to have to keep ducking knives that were being thrown. Did I mention knives were thrown? No. Well yes, this entity was fond of throwing things… and growling. Yet they stayed. There was an incident while Caroline was cleaning her en suite bathroom that would have caused me to put the house on the market. Caroline’s response, ‘let me sit down here on the bed and talk to the entity’. A couple of times I checked to see if this is the same Caroline Mitchell that authored Don’t Turn Around. Yep. She is. I liked that story. She looks so sensible in her bio pic, yet she sat down on the bed to talk to the intruder. So many incidents happened that I went numb. I just kept thinking what else can happen to this poor family. If this had been a work of fiction, I would have criticized the author for over doing it. The business with the dogs was heart breaking. I wanted to swoop into the story and rent them a home nearby so they wouldn’t have to bother the in-laws. I felt so bad for them. Then they took the entity on a pubcrawl. What’s Wrong With You People?? There were more than a few instances where I was laughing out loud. This is one where Neil and Caroline are at the house picking some stuff up when they decide to stay the night. Neil began walking up the stairs, weary. ‘Look, it’s all died down now. If it starts up again we will leave, I promise,’ he said, in his most reassuring tone. I was fully clothed and intended on staying that way. I must have looked a sight, with the duvet pulled up to my neck and my trainers sticking out of the side of the bed. I responded with a withering look, which told him he was on his own. 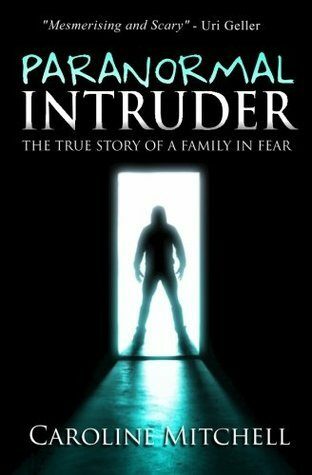 There is an account by John F. Triplow, a freelance writer and paranormal investigator, towards the end of the book and what he found out from his research is hair-raising. Literally the hairs on my arms are standing as I think back on it. I believed the accounts in this book as described by Caroline. I don’t need or want any proof. Sometimes we ask questions when we’re not fully prepared for the answers. I know I’m not ready. The fact that this is a true story makes this even scarier. I’d be lying if I said that I’ve never experienced something paranormal – something that I cannot logically explain. I’ve lived in my third-floor apartment for over 7 years(an eternity since I tend to like living a nomadic lifestyle) and these incidents number in the single digits. They usually occur in my bedroom near or on my bed. I live with insomnia, so I rarely fall asleep as soon as I lay down. One night I was debating whether to sleep facing the window or facing the closet (it was closed – it shall remain closed whilst sleeping). To entertain myself I did the ole ‘Eeny Meeny Miney Mo’ and the window won. I turned to face the window, laid my head on the pillow and I heard a little girl laugh right in my face. Needless to say, I turned around and faced the closet, dismissing the laughter as having come from outside knowing damn well the laughter didn’t come from outside. One night I heard a sigh right by my ear and I blamed it on my mattress or flatulence. Really? A leaky, sighing mattress is not much better than me having farted in my own ear. I live alone so I usually lay down in the middle of the mattress. This one night I noticed I was over near the edge closest to the window but was too lazy to move. As soon as I faced the window I felt someone* spoon me. Just like that. No movies, no happy meal. Just got right up in my business. I don’t read the Bible as much as I should but I believe in Jesus Christ so I invoked His name. Right before I was spooned, I felt a slight depression in the mattress. After demanding my peace I didn’t feel the mattress move but I also didn’t feel the sensation of being spooned. These little gems are 3 out of maybe 9 that have occurred in the past 7 years. If this were food, I just gave you a Tic Tac while the Mitchell’s are serving An All-You-Can-Buffet with no time limit and no end in sight. oh my word! Your experiences are off the charts! and funny, too! Mentos to share- LOL!